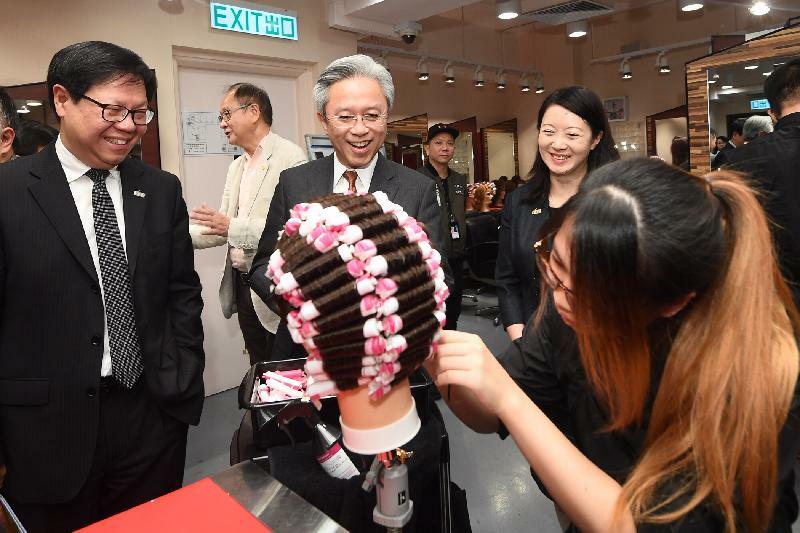 The Secretary for the Civil Service, Mr Joshua Law, today (March 28) visited Sai Kung District, where he exchanged views with District Council (DC) members and young people, followed by a tour of staff quarters for Customs colleagues. 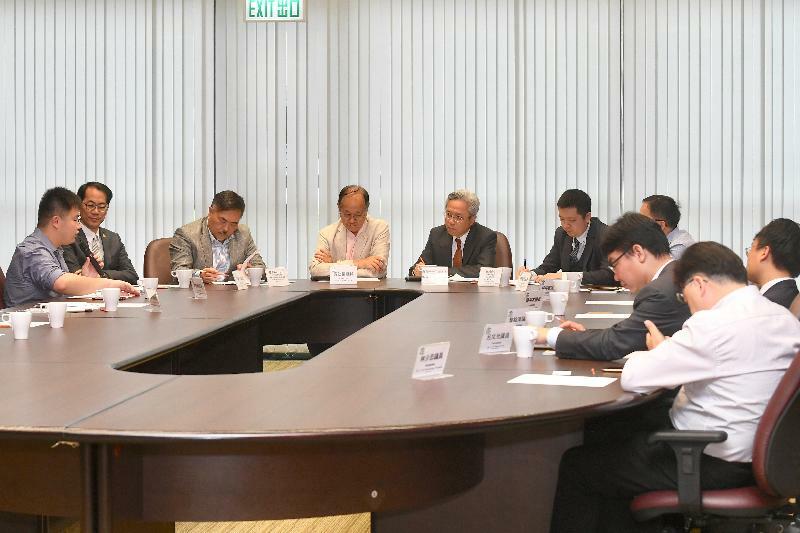 Accompanied by the Chairman of the Sai Kung District Council, Mr George Ng, and the District Officer (Sai Kung), Mr David Chiu, Mr Law met with DC members and exchanged views on issues that concern them. Mr Law then proceeded to Youth College (Yeo Chei Man) of the Vocational Training Council to learn about the teaching facilities there. He also chatted with students to know their efforts in acquiring knowledge and skills in the interactive learning environment for further studies and employment. 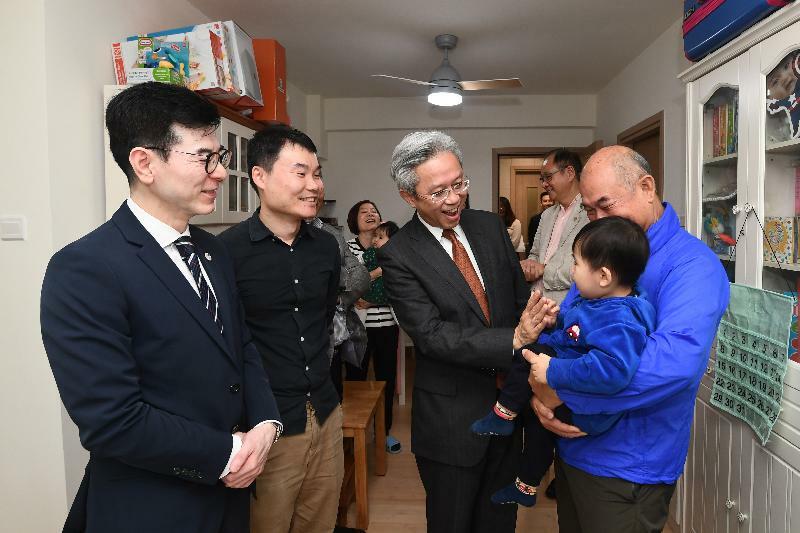 Mr Law later toured the newly completed Yau Yue Wan Customs Staff Quarters, and paid a visit to a family to learn about their adaptation to the new living environment. Yau Yue Wan Customs Staff Quarters provides over 130 units for married officers of the rank and file grade of the Customs and Excise Department.